The Namibia Civil Aviation Authority (NCAA) is threatening to shut down two of the country’s busiest airports over claims that the Namibia Airports Company (NAC) was failing to do upgrades as promised. The authority is threatening to close down Ondangwa Airport and the Hosea Kutako International Airport within two weeks, after the NAC cancelled two tenders because of a lack of money, and because the previous board had awarded the contracts irregularly. Allegedly, the threat to shut down the two airports was also part of a plot to pressurize and remove NAC chairperson Rodgers Kauta and his deputy, Beverley Gawanas-Vugs. Kauta and Gawanas-Vugs blocked the Ondangwa airport upgrade contract worth US $15.5m, and the tender to partly renovate the Hosea Kutako International Airport for US $11.1m. 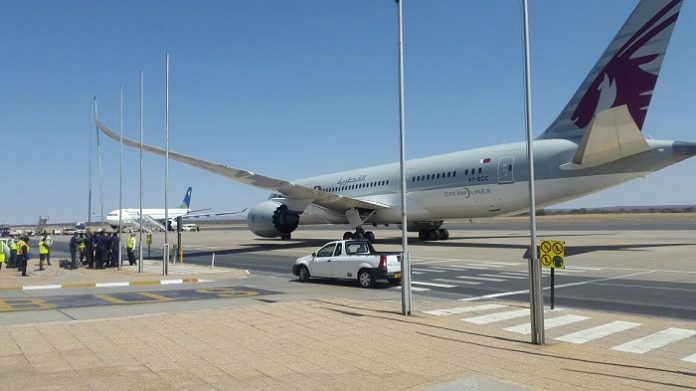 Allegedly, the NAC board suspects that the Ondangwa airport upgrades were inflated by over N $60m, some of which was allegedly already paid in bribes to senior government officials. The works ministry wants China State Construction Engineering Corporation to do the Ondangwa airport upgrades, while the Hosea Kutako upgrades were awarded to Egyptian Muhamed Omar in 2016. The two NAC board members face increasing pressure from senior government officials over the two contracts. The latest to apply pressure is the director of the NCAA, Angelina Simana, who wrote to Kauta last week, and threatened to start airport closing procedures if the NAC does not undertake to renovate the airports. She raised safety concerns, and referred to promises made by the previous corruption-tainted NAC board to question why the two airports have not been upgraded since 2014. Her threat to close the two airports, on the eve of Christmas, has attracted accusations that she is acting in bad faith, a person briefed on the matter said. Senior government officials are questioning why Simana is threatening to shut down the airports if the licences of the two airports were renewed a few months ago. The licence of the Hosea Kutako International Airport, which is situated east of Windhoek, was renewed in August this year, while the Ondangwa Airport’s licence was renewed in September.